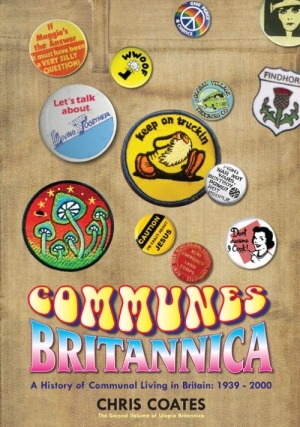 Communities Britannica, a history of communal living in Britain from 1939-2000, was published in March 2013 as a sequel to Utopia Britannica. In researching and writing the book, the author, Chris Coates, amassed a huge and unique collection of photos, stories and artefacts about this alternative approach to modern life… more than could fit in any book, but too good not to share. So this blog has been put together as a way to give that collection a permanent home. The aim is to add new material every few weeks, to add to the stories in the book and to tell new ones. You can order a copy of Communes Britannica from Edge of Time. There is more information and conversation in the Communes Britannica Facebook group.